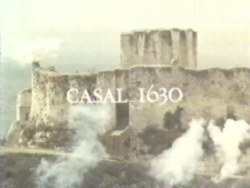 At the fort of Casal in the year 1630, the French are fighting a rearguard action against the opposing Spanish army. 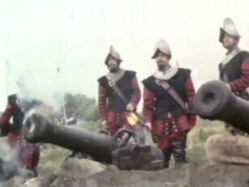 The fort at Casal is under siege and the Spanish guns are bombarding the Castle like shooting fish in a barrel. 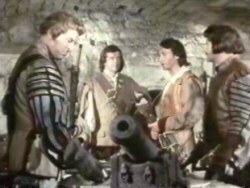 The French have little to answer with but General Thoiras inside the fort is planning the defensive strategy with the members of the defensive council. It is a dismal meeting, the men arriving to see the General can only provide 220 troops (100 are mercenaries, 20 are volunteers and another 100 are made up of regular army) to defend the fort against the well equipped Spanish . It is a pitiful defence against such overwhelming odds (the Spanish force is at least 6000). 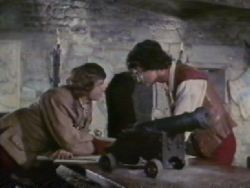 The King of France has ordered the defence of Casal at any cost. 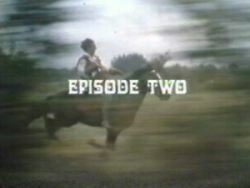 Enter our two heroes on horseback. The Spanish are very confident of victory especially as the fort has little to fire back with. Suddenly from behind the Spanish line, cannon and gun shot are heard. 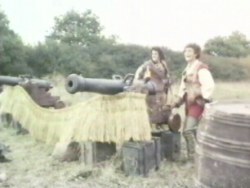 Our two heroes Francois (Chevalier de Recci) and Guillot enter the battle line and start firing the reserve cannons on the Spanish forces. After causing chaos amongst the Spanish troops, the two head for the fort of Casal. 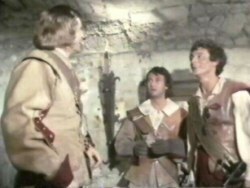 Chevalier de Recci (Francois) introduces himself but the General is not best pleased when he discovers that no additional men are to arrive. Chevalier de Recci is not too pleased either when he discovers that he will be placed under Captain Klais (head of the mercenaries). Francois is further upset to find that there is little food, no bed, supplies at all time low and no one is doing anything about it. 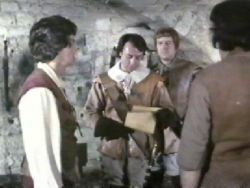 Francois knows that the Spanish have everything they need just over the hill but the General's orders must be obeyed. Francois decides to sleep on it. The next morning Francois, Guillot and two other French soldiers depart early and crawl over the hill through the undergrowth towards the Spanish lines. Their target is a small group of gunners. They attack and kill all the soldiers and then take the supplies back to the fort. 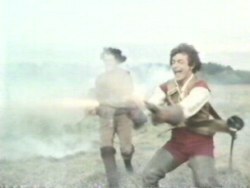 The episode ends as the attack appears to be successful. Francois returns after the successful raid on the Spanish forces. 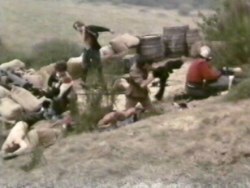 He has a large wagon with him, filled with food and ammunition and more importantly a little victory to help lift morale back at the castle. 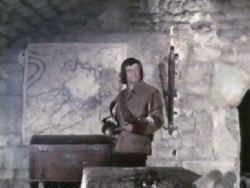 He returns to the castle expecting some form of congratulation from the General but alas for him he is asked to hand over his sword. Francois refuses and snaps his sword in protest. He is immediately placed under house arrest and escorted to his quarters to be guarded at all times. 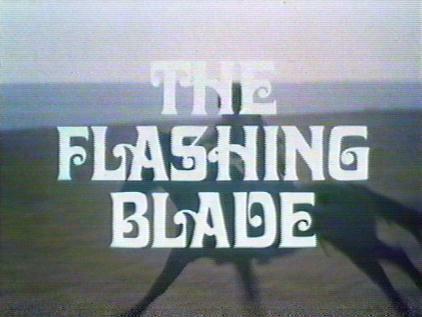 The guards are told to shoot him if he tries to escape. A court-martial is to be held the next day during which Francois may be executed if he is found guilty of disobeying orders. The next morning the verdict is delivered. Francois has been found guilty and is to be executed before nightfall. 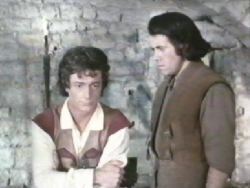 The General requests Francois to come and see him and offers him a delay in his execution of one day. 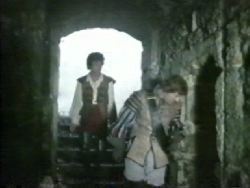 Francois is told to escape from the castle. 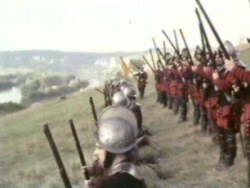 The General wants Francois to contact the Marshal de la Force at de la Varre (200 leagues away) so that the troops could be seen attacking from the rear. 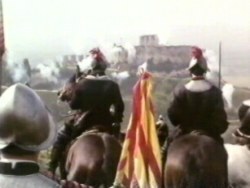 The Spanish might then delay their final assault on the castle. 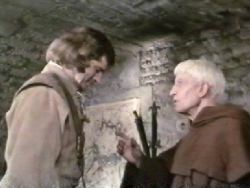 Francois is told to seek out a French agent and to follow his instructions. 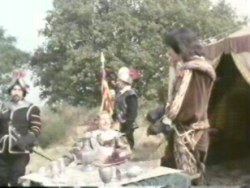 He is warned that there are Spanish agents scattered throughout the countryside and he must be careful. No one is to know what is happening and he is still to be under arrest.